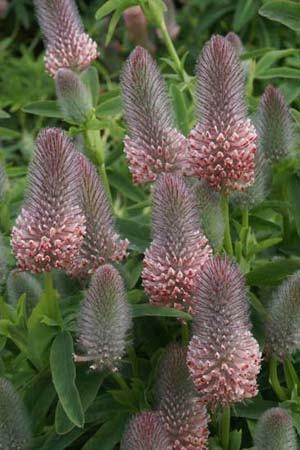 Clumps of blue-green clover foliage.Lovely soft peachy pink pointed bottle brush flowers on stiff stems, June/September. 45cm tall. Great for butterflies and bees. Sun and good drainage.